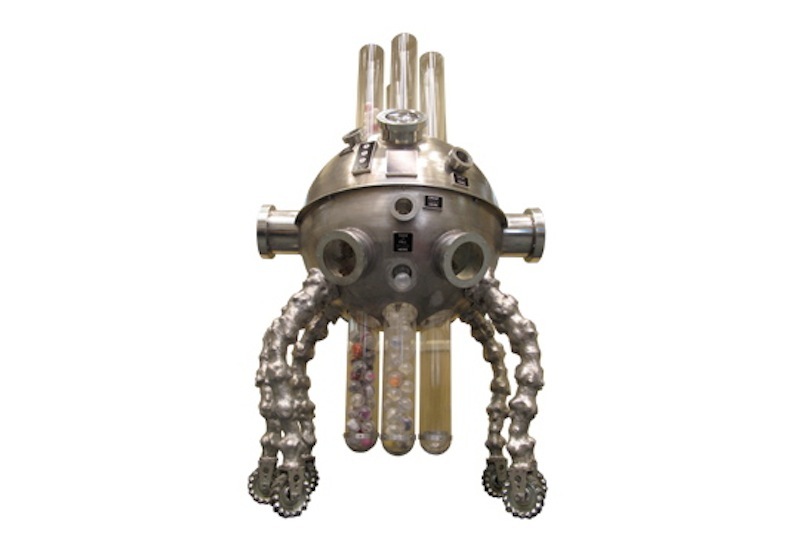 Supra Capsuleria has landed here to fulfill its mission of serving as a time capsule – a collection of specimens of life on earth – while utilizing test tubes and capsules as its instruments. The Machine dispenses 2” empty capsules for you to fill with an object, artifact, or representation of one (words or image), art, writing, an interpretation, and drop it back into the machine. Individual encapsulated specimens fill test tubes that are housed inside of the Machine. Lenses located in multiple viewing portals offer views of Supra Capsuleria’s internal landscape of biological structures and the test tubes of collected time capsule specimens. Collections are housed at Bio Scenic Earth Laboratory and will be retrieved for a future audience. Register your time capsule specimen. MMAA showcases art of the past and present, unleashes the creative potential of our community, and inspires the artist in all of us. We are committed to improving children’s health by providing the highest-quality, family-centered care, advanced through research and education. We create a learning community that is diverse, knowledgeable, thoughtful, and caring. The mission of Saint Paul Public Schools Adult Basic Education is to provide adults with educational opportunities to acquire and improve their literacy skills necessary to be self-sufficient and to participate effectively as productive workers, family members, and citizens. Our mission is to serve our community and people with disabilities as we live and work together. Nestled along the shores of Silver Lake, and with a focus on arts and the environment, Silverwood Park is unique in the metro area. Built in 1914, the MCF-Stillwater is the state’s largest close-security institution for adult male felons. Phase One retrieval date is scheduled for August 16, 2038. Phase Two retrieval date is scheduled for April 4, 2040. Phase Three is undergoing research and development with pending status from site partners. Thank you to all of the communities and individuals that have personally shared for this collective mission.